Flavored pasta There are 8 products. 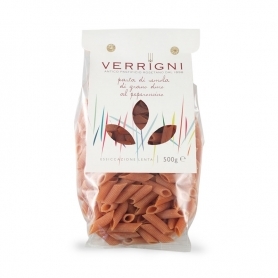 The tiny, specialties of Tuscan tradition, turn into a delicious pasta with porcini fungus. 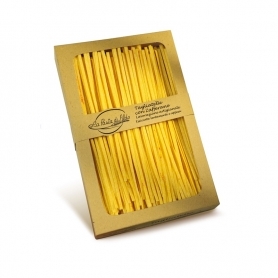 Intense flavor, great to be seasoned with cream and parmesan cheese. 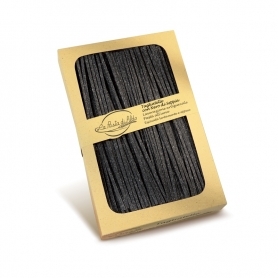 Eretics as a base for your carbonara. 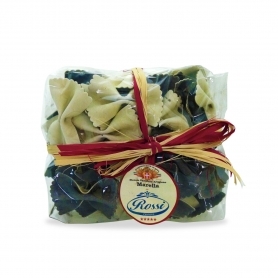 The first pasta with truffles produced in the world (in 1990!) Was born from the imagination and experience of the founder of Tartuflanghe. 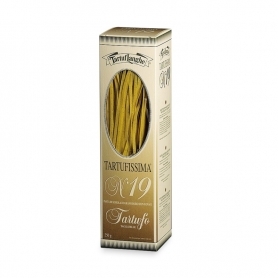 Noodle Tartuflanghe is recognized as the best truffle pasta to the existing market. 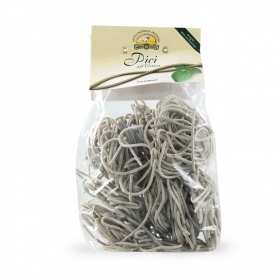 In 1992 he won the prestigious "Best New Product of the Year Prize" at the Fancy Food Summer Show in New York and even today, for its particular characteristics. A paste choreographic unique taste! Naturally spicy flavor for true and unique first courses. The paste-form that frees your imagination in the kitchen. only prepared with real stigmas. 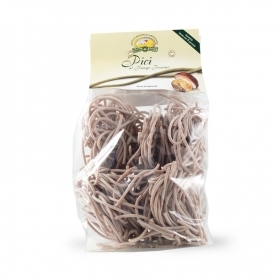 The intense aroma of saffron is its best guarantee.